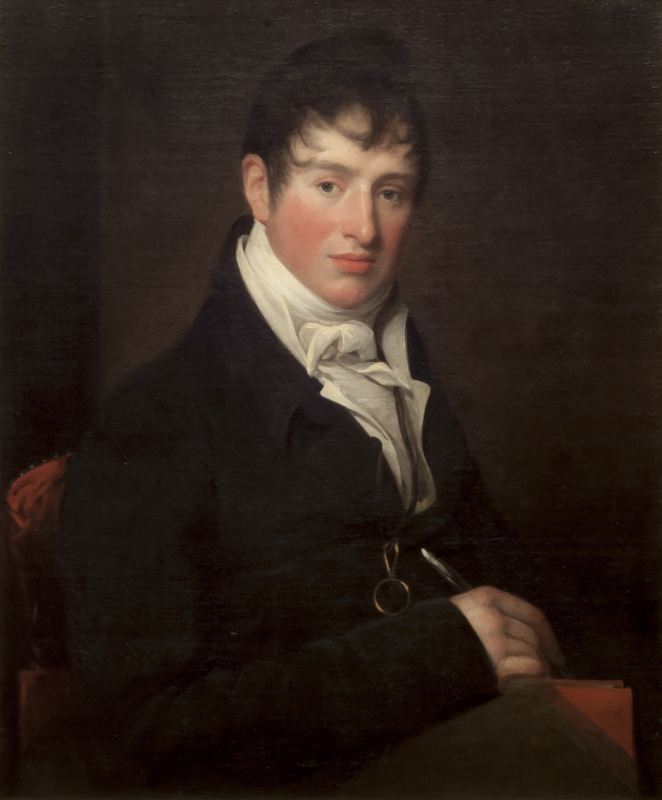 Portrait of Peter Bayley (1778-1823), artist unknown, c.1800-15, Grosvenor Museum, Chester. The Grosvenor Museum has recently acquired three late 18th/early 19th century portraits of members of the Bayley family of Nantwich, Cheshire. They have just gone on display, following conservation. The sitters are reasonably well documented but the artists are unknown. Proposed dates below have been suggested by the sitters’ costumes. Any thoughts on possible attributions are very welcome. Please use the ‘add a comment’ box below. Portrait of James Bayley VI (1759-1840), artist unknown, c.1785-97, Grosvenor Museum, Chester. Portrait of Penelope Bayley (1759-1825), artist unknown, c.1785-94, Grosvenor Museum, Chester. 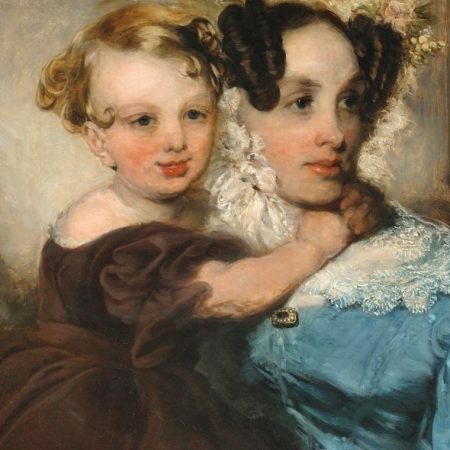 Penelope Salmon was born in 1759, the daughter of Edward Salmon of Hassall Hall, Sandbach, and his wife Ann Lowndes. In 1780 Penelope married James Bayley VI of Stapeley Hall, Wybunbury, and Adams’s Weekly Courant noted that she was “A young lady of very amiable accomplishments, with a fortune of £5000.” They had sixteen children – eight sons and eight daughters; seven of their children died in infancy, which was not unusual in an age of high infant mortality. The first few years of married life were spent at the ancient manor house of Stapeley Hall, but this was dilapidated and surrounded by a rat-infested moat, so James Bayley VI demolished it. They moved to Hassall Hall, remaining there throughout the 1790s before eventually returning to Stapeley. Living in a house now known as Stapeley Old Hall, they spent the remainder of their lives socialising with friends and neighbours. Penelope died, as noted by The Chester Chronicle “After a long and painful illness”, in 1825 aged 66. Peter Bayley, cousin of James Bayley VI, was born in 1778: both were grandsons of James Bayley IV. Son of a Nantwich attorney, he was educated at Rugby School and at Merton College, Oxford. He was admitted to Lincoln’s Inn, London, in 1799 but refused to devote himself to legal studies, leading to a breach with his father and imprisonment for debt. His collection of Poems published in 1803 reflects a profound admiration for Wordsworth and Coleridge. He returned to Nantwich on his father’s death in 1803 and in 1807 married his cousin Mary Wright (1774?-1830): they had three children. Bayley spent the years after his marriage living in rural Staffordshire, but moved back to London later in life. He published little until a burlesque Greek poem Gryphiadraea in 1817. In 1820 he published two English poems, Sketches from St George’s Fields (drawing on his experience of prison life) and A Queen’s Appeal (supporting George IV’s estranged wife Queen Caroline). In 1822 Bayley began editing a new literary periodical, the London Museum, which shows his continuing love of Wordsworth’s poetry. He died the following year, and his epic poem Idwal and a tragedy Orestes in Argos were published posthumously.